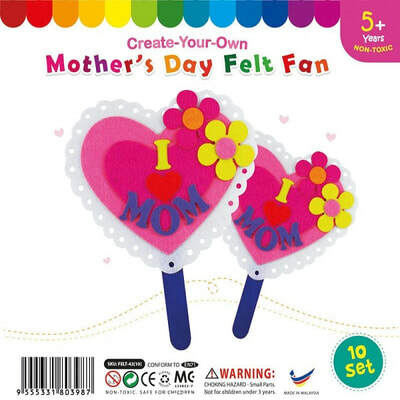 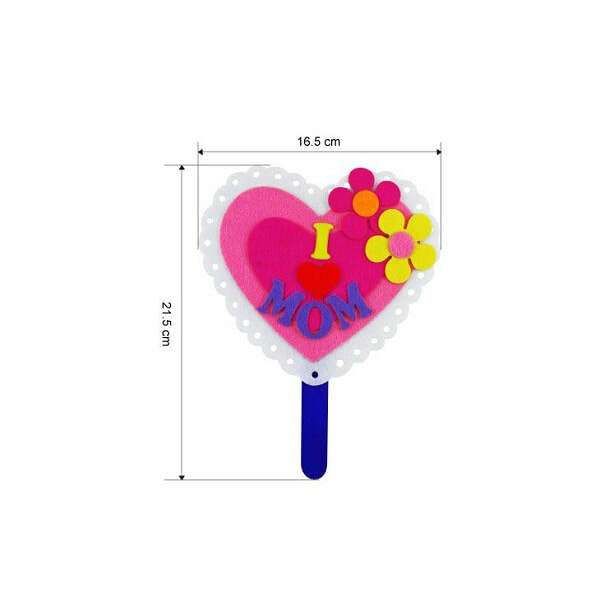 Keep mom cool on Mother's Day with a felt heart shaped fan! Beautifully bordered by white felt lace and topped with two cute little felt flowers. 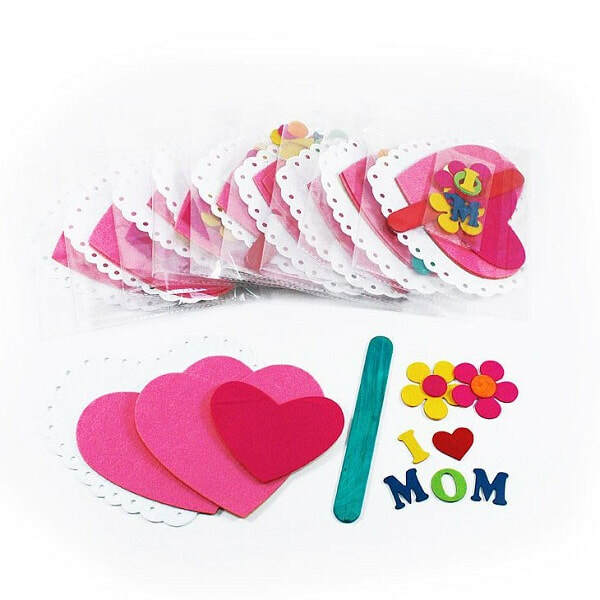 Arrange and stick "I ♥ MOM" felt stickers. She is sure to love it!